— Marshall Goldsmith Author or editor of 35 books including the NYT#1 bestselling Triggers and global bestsellers MOJO and What Got You Here Won’t Get You There. Purpose: To help leaders develop leaders. Human behaviour is complex. Developing leadership in others takes more than knowing the theory and authorising the training budget. Bringing out the best in your people can be challenging and time consuming. Written for leaders who lead leaders, this book addresses the 12 most common, globally recognised leadership derailers. take the guesswork out of developing your direct reports. It’s time to empower your leaders to get out of their own way; realise their potential; and deliver on individual, team and organisational goals. With her co-authors—fellow leadership experts Corrinne Armour and Belinda Cohen—Anneli is on a mission to take the guesswork out of developing direct reports and this book shows you how. ‘Developing Direct Reports’ is also the topic of one of Anneli’s keynotes, and the basis of a training program that helps leaders develop leaders. Purpose: To help you quickly build effective iWAM workshops that will delight your clients and grow your business.This is a specialist reference guide for a specific audience – iWAM consultants. Anneli, and her co-authors Belinda Cohen and Corrinne Armour, are recognised globally for the client experiences they have created based on motivational profiling the iWAM (Inventory of Work Attitudes and Motivations) system. Written in response to interest and requests from international colleagues, 'Cracking the Code for Workshop sets out methodology for quickly building effective workshops that delight clients. It provides a trusted framework with step-by-step instructions for over 60 training activities. To support consultants in delivering the activities, there are print-ready participant handouts (eg puzzles, images, case studies, scripts, instruction sheets). Each activity also includes a comprehensive set of debrief questions guaranteed to provoke discussion, stimulate layered learning, and maximize engagement. This Guide has also been purchased and used successfully by consultants who use other profiling instruments. Purpose: To help support the continued development of a coaching client after the iWAM coaching debrief is complete. Drawing on their recognised specialist expertise in motivational profiling, Anneli, and her co-authors Belinda Cohen and Corrinne Armour have developed this resource for accredited iWAM (Inventory of Work Attitudes and Motivations) consultants. This guide helps support the continued development of a coaching client after the iWAM coaching debrief is complete. When we tell people what to do, they may listen, but they are unlikely to commit to action and are even less likely to remember. When we ask great questions that lead to insight, there’s an emotional component triggered in the brain that leads to commitment and accountability. The leader who asks uses these strategies and more to connect deeply, lead fearlessly and achieve results that transform. Leaders who ask leverage coaching capabilities and questioning techniques to create Fearless Cultures. An excellent resource for building confidence and competence with your voice, featuring an excerpt by Anneli Blundell entitled, "Advice from a woman of the world." 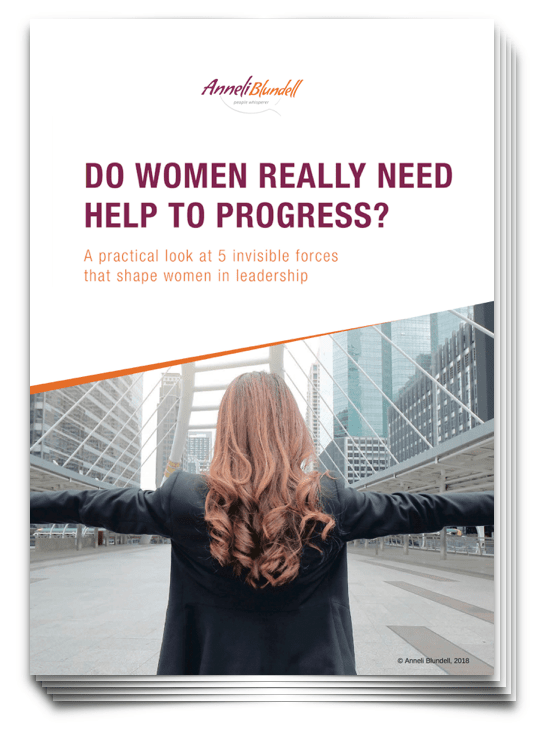 Anneli is referred to in this book as 'petite yet unafraid to take command' and offers her top tips from coaching professionals for the last decade on how to increase their visibility, authority, and presence in the workplace. Purpose: To assist organisations to manage human resources in a knowledge economy. 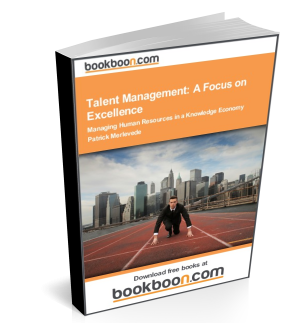 An excellent resource on Talent Management featuring a case study by Anneli Blundell. "Anneli Blundell, co-author of Insight to Action: Coaching the change that matters (2014) uses the iWAM to support her Executive Coaching, particularly for interpersonal influence and communication effectiveness. Anneli relies on the surgical precision of the iWAM to help clients to separate behavior from intention and to decode people and performance dynamics in the workplace." Please click here to download your copy today. Please note the PDF will also open automatically in a few moments. Purpose: To embed learning and make new habits stick. This guide explores the latest in learning theory and brain science to help you hack your own learning strategy. Packed with tips and tricks it provides a road map for sustainable behaviour change to leverage learning and make the new skills stick. This white paper covers the key communication traps technically focused leaders fall into and how to combat them. Purpose: To uncover the hard truths and hot principles of effective leadership. This white paper explores why leadership development is broken. It compares traditional leadership development with tractional leadership development which is aimed at developing performance on the job.